Windy City Gay Idol Kicks Off in Andersonville Reviewed by Edgeville Buzz on March 24, 2009 . 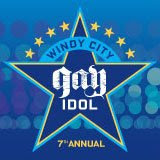 CHICAGO —Windy City Gay Idol kicks off its seventh year featuring the best amateur gay and lesbian singers in the Chicago area. What started as a fun promotion with Windy City Media Group has become a large and highly anticipated annual event in Chicago’s Gay, Lesbian, Bisexual, and Transgender community. And you don’t have to sing to be a part of it. Just come and vote! The first event will be at Star Gaze bar in Andersonville Sunday, March 29.